Perfect. Beautifully engineered and a simple solution. Great option to convert old forks to a new frame, and cheap! A tight fit on the steerer tube (had to get the shop to fit it for me as didn't want to try and bodge it). However I'd want this to be pretty tight for a reducing from 1.5 to 1 1/8. Quick delivery. Well made , a perfect fit, and saves me from having to buy new forks! One of those essential gizmos that you cant do without in certain circumstances but pay a premium for. It does exactly what its supposed too but I think its a tad overpriced for what it is. As usual, a good price and fast delivery from Merlin though. 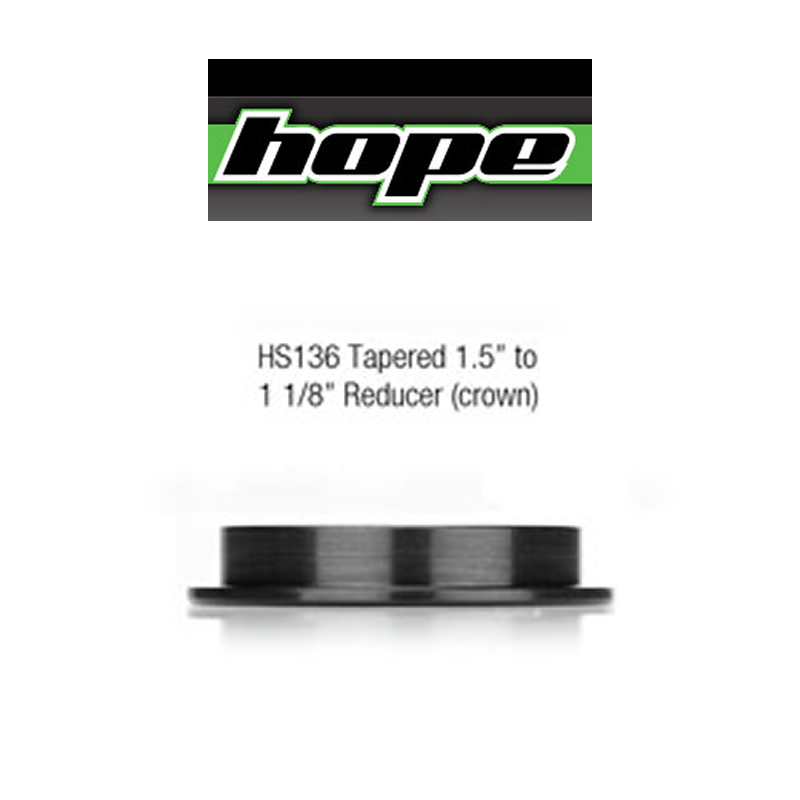 If you have a 1 1/8in steerer and a tapered headtube then this is the solution. Fits easily and does the job with no problems. Nothing else to say. Needed this to run my old fork on a new frame with a tapered head tube. Works great with hope pic n mix headset cups. I'm running a standard fork on a tapered frame and bought this for using it with a tapered traditional headset (Bottom cup), and it works absolutely perfect, solid, looks need and fits like a glove. Also leave you with upgrade possibility to a tapered fork without having to spend money again. You've got all you need. I would highly recommend this product.